Mr. Sooraj Ramachandran is spearheading the group middle east expansion and initiatives of the group especially initiatives to launch pre schools which will function as feeder schools to all the Bhavans schools in the Middle East in the future as well as initiatives to start programmes for student training for distance and higher education, professional courses and special education. Programmes for teacher training are also part of future plans. 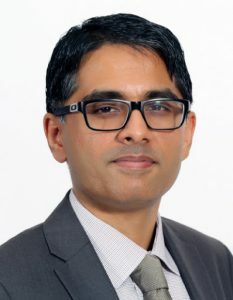 A Chartered Accountant by profession with his practice based out of India, Sooraj did his initial six years of his schooling in Indian School Kuwait and the later six years in Bharatiya Vidya Bhavan, Elamakara in Cochin, Kerala. Sooraj, who is an avid reader and a sports enthusiast, has represented his school and college teams in Cricket, Football and various Track and Field events. Presently, Sooraj stays in Abu Dhabi with his wife, Vineetha, who is a Doctor and their two children. 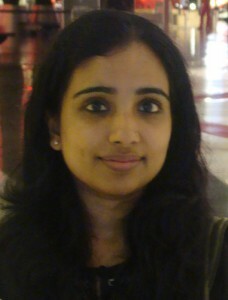 Ms. Divya Rajesh Ramachandran is a Chartered Accountant by profession with 10 years of qualified experience. She is a senior partner in a well established firm based in Cochin with Branches in Kollam, Trivandrum, Bangalore and Chennai. She did her schooling in Indian School Kuwait till the VIIIth Standard and then moved on to Bharatiya Vidya Bhavan, Elamakkkara, Cochin for the Secondary and Senior Secondary schooling. She is married to Rajesh Ramachandran who is also a practicing chartered accountant and the founder partner of the firm she practices in. They have 3 children 2 of who are studying in her alma mater Bharatiya Vidya Bhavan, Elamakkara, Cochin. She is an avid reader and music enthusiast and pursues dance, photography and writing when time permits.